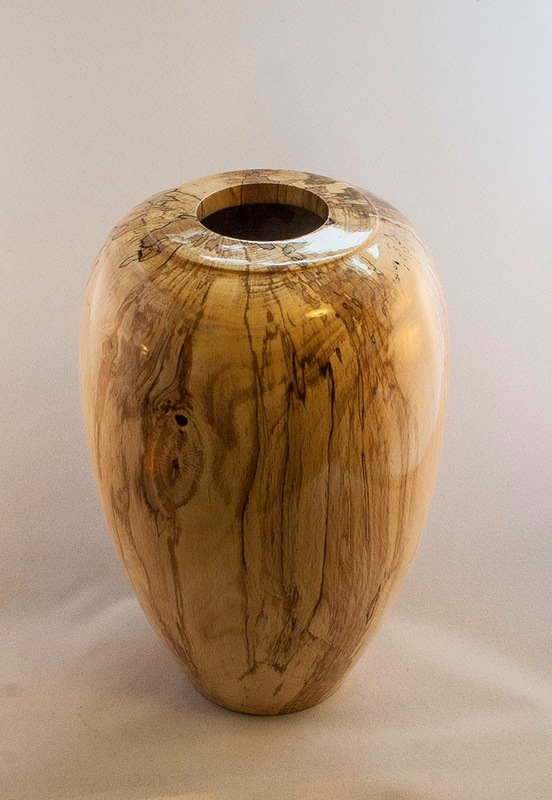 Out of the Trees - Artistic Woodturnings: My policy has matured! Actually, my Beech has spalted, but it's similar. 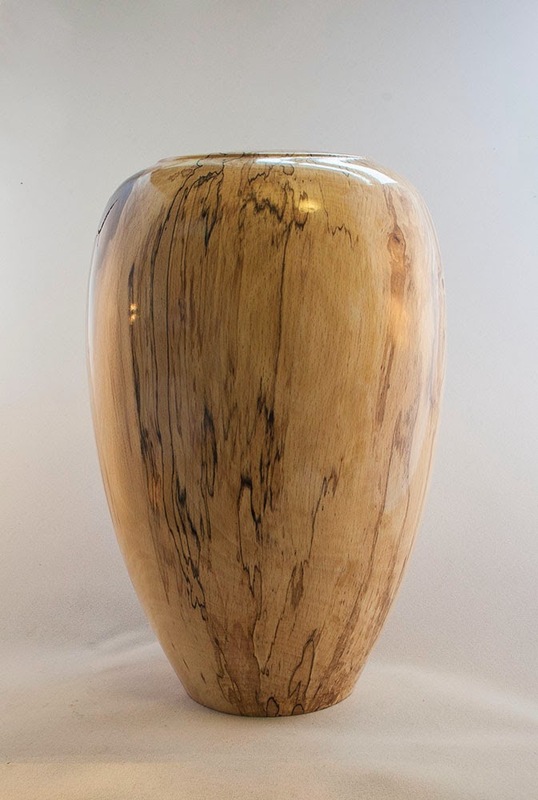 Some logs I set aside have eventually spalted, quite nice patterns, but I could have wished for better, still, maybe some of the others will produce better variation, meanwhile this Hollow Form is reasonably pleasing, I made it with a wall thickness of about 8mm, this gives it a pleasing weight in the hand, the finish is shellac. 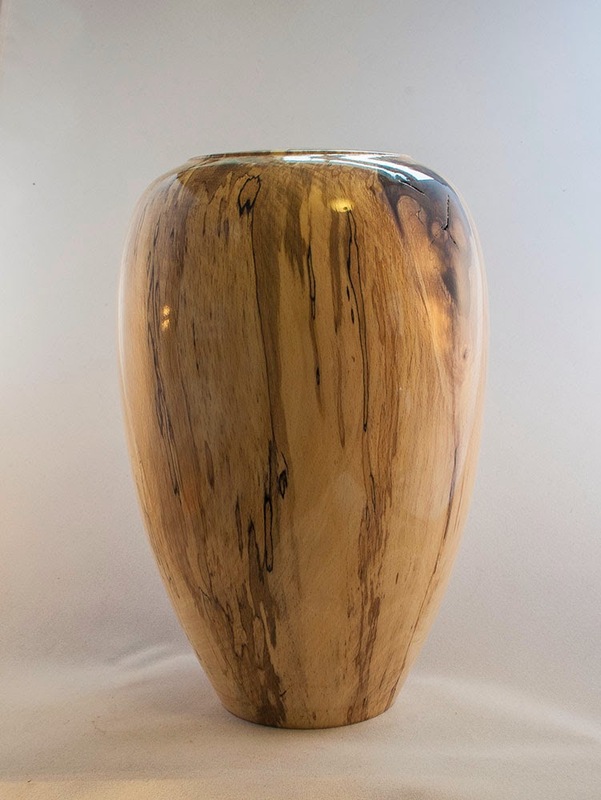 The form stands about 210mm tall. 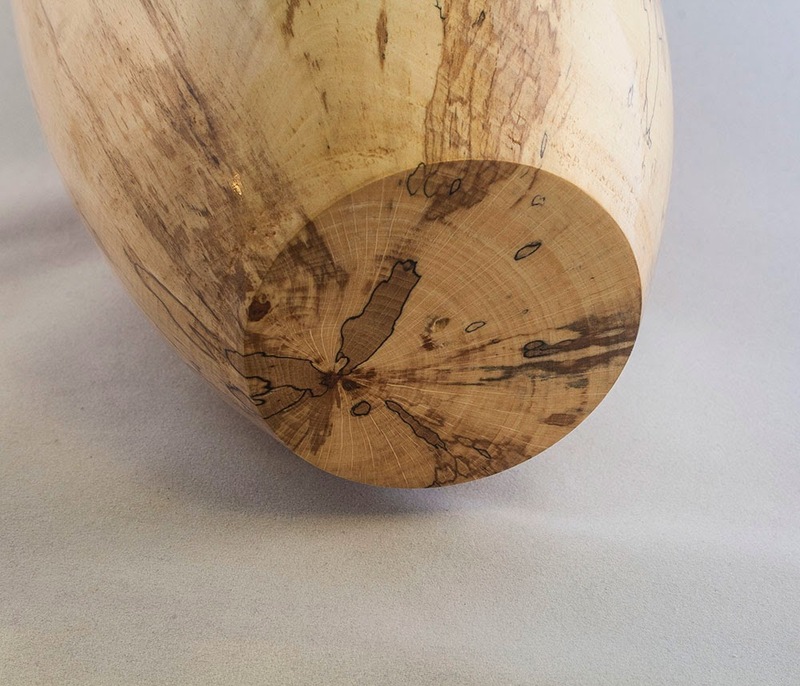 Of further interest, this is the log from which the little offcut I made the video with came from, it needs a final finishing on the flat surface, I will pop the pic up in a few days, so then they will be a sort of father and son pic!